In the last hour, I suddenly became overwhelmed with just how many choices we make in a day. We choose whether or not to wake up in the morning to drag ourselves to school [some might argue that this isn't a choice ... but let's just go with it]. We choose what to eat when we're hungry. We choose which lane to drive in. We choose how we spend our time [such as right now, I am actively choosing not to study]. In life, we make a lot of choices that we don't think twice about because for the most part, they are trivial. But if you really think about it, some everyday choices we make affect those around us. Something as simple as smiling at a stranger as you hold the door open could be the highlight of someone's day. Cutting someone off as you merge into another lane could ruin the rest of that person's day. Sometimes, I think we forget just how interconnected we all are; most of the time I think I am just minding my own business and living in my own little world, but there's no such thing. We all end up influencing another human's life at some point in time, whether we acknowledge it or not. In medicine, our choices hold even more weight. This thought is exciting and chilling all at once; our choices can lead to bringing a new life into this world or ending one prematurely. Our words can tear a family apart or bring tears of joy to a patient. Our actions truly impact the life of our patient, whether we like it or not. This is the path we chose. We want to help people. We want to heal people. But in the end, there is no escaping the reality that we won't always be right. Most of the time, there is no such thing as black and white; there is just an expanse of gray that will only morph into clarity retrospectively. 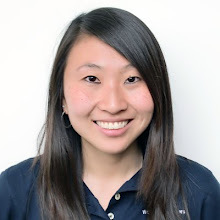 Amanda Xi is a first-year medical student at the OUWB School of Medicine, charter class of 2015, in Rochester, Mich. She has a Bachelor of Science in Engineering [Biomedical Engineering] and Master of Science in Engineering [Biomedical Engineering, again] from the University of Michigan. This post originally appeared at her blog, "And Thus, It Begins," which chronicles her journey through medical training from day 1 of medical school.